April 2016, Issue 168 | Samuel Shapiro & Company, Inc. Right Guidelines to Making Import Entry into the U.S. The Mega-Shipping Debate, Is Bigger Really Better? Will Cargo Pilots Be Held to the Same Rest Rules as Passenger Pilots? Port Directors will retain singular authority over those matters pertaining to control, movement, examination and release of cargo. Additionally, the Port Directors will retain responsibility for matters related to Drawback and Fines as well as Penalties and Forfeitures (FP&F). Both Directors will have the authority to demand redelivery of cargo and take samples of merchandise as needed. In situations where a regulation requires that certain documentation, information or filings be submitted to a Port Director, the filer/importer may continue making such submissions to the Ports of Entry in accordance with the regulations. Trade functions exercised by the Center Directors include Entry/Entry Summary and processing of liquidations, protests, petitions, recordkeeping and financial accounting matters. Other activities include decisions regarding packing, stamping, country of origin marking and rules of origin, trademarks, copyrights, bonds, classification, appraisement and the sample of merchandise. In the first few months of 2016, the U.S. has already seen 24 food safety recalls, 18 involving meat and poultry products, as reported by the Food Safety Inspection Service (FSIS). Al Almanza, the deputy undersecretary of food safety for the U.S. Department of Agriculture (USDA) requested $8.5 million in additional funding from Congress to modernize food safety testing equipment and parameters. If approved for use in 2017, the funding will be used to improve key scientific testing such as whole genome sequencing, data analytics, and lab analysis. The agency’s goal to decrease, and ideally eliminate, foodborne illnesses depends on the speed and accuracy of detecting pathogens and chemical contaminants. Of the 2016 meat and poultry recalls, 33.3% was attributed to foreign matter, 27.7% to mislabeling, 5.5% to Listeria, and 5.5% to E.Coli. The more jarring statistic is that 27.7% of this year’s recalls weren’t inspected at all. In February 2016, representatives from the Departments of State and Transportation signed an arrangement with Cuba that provides the basis for the restoration of scheduled air services between the United States and Cuba. As part of President Obama’s new approach to Cuban policy, the Department of Homeland Security (DHS) and Customs and Border Protection (CBP) examined their regulations and policies pertaining to Cuba, particularly as it relates to air travel between the two countries. The Department of the Treasury’s Office of Foreign Assets Control (OFAC) and the Department of Commerce’s Bureau of Industry and Security (BIS) have issued five sets of amendments to the Cuban Assets Control Regulations (CACR) and Export Administration Regulations (EAR) respectively. BIS administers the EAR, 15 CFR parts 730 through 774, which prohibit certain exports and re-exports to Cuba unless authorized by a license or license exception. Baggage and cargo onboard the aircraft may also require a license if it does not qualify for a license exception under the EAR. While DHS is not required to provide public notice before implementing the requirements under this interim rule effective March 21, 2016, public comment will be received as a matter of record without delaying implementation. At the Department of Commerce’s public session of the Regulations and Procedures Technical Advisory Committee meeting on March 23, 2016, Robert Rawls, Branch Chief, Outbound Enforcement and Policy at Customs and Border Protection (CBP), announced that CBP has initiated a controlled pilot program to automate Department of State Licenses DSP-61 & DSP-73. CBP is currently working with various companies that have many manual DSP temporary licenses and hope the automated process will take place in ACE by the end of the year. Once automated in ACE, CBP expects to decrement these licenses on both the import and export side in ACE. The right to make entry in connection with the entry of merchandise into the United States is supported by the documentary evidence of the bill of lading or air waybill in conjunction with the commercial invoice to show the party with the financial interest. Section 484 provides that only the “Importer of Record” has the right to make entry. “Importer of Record” is defined as the owner or purchaser of the goods, or when designated by the owner, purchaser, or consignee, a licensed Customs broker. A person or firm who imports on consignment, under loan or lease, for exhibition at a trade fair, for repair, alteration or further fabrication are also eligible because they have an interest in the goods beyond a nominal consignee. Nominal consignees are not authorized to file customs entries as they effectively possess no other right, title or interest in the goods other than accepting delivery thereof. As the Asia-to-U.S. container market demand continues its decline, capacity has not followed suit. Carriers are hoping for a combination of contract negotiations and an April 1 general rate increase (GRI) to ease the financial burden. Trans-Pacific contract negotiations between Beneficial Cargo Owners (BCO) and steamship lines are already underway; however, the herculean task may prove too difficult. While carriers seek to offer above market long-term rates to BCOs, the current spot-rate market continues to erode with no indication of short-term relief. Carriers most recently announced an April 1 GRI of $600 per freight equivalent unit (FEU), but are already conceding at 50% or less of the increase. As we’ve seen many times in the past, an implemented GRI could only be a temporary Band-Aid and quickly fade after implementation. With carriers reporting utilizations at only 90% and weak demand for Chinese imports, all eyes will be on long-term contract negotiations to set the market pace. As mentioned in the February issue of Shap Talk, the Panama Canal expansion was estimated to be completed during the 2nd quarter of 2016. The Panama Canal Authority has announced that the project will be completed by June 26th. This is exciting news for the logistics industry and will have a lasting impact on how cargo is transported through this important trade lane. Carriers, importers, and exporters have long awaited the completion of the canal’s expansion, which is now almost two years behind schedule. The expansion project was reportedly 97 percent complete as of Tuesday, March 22 and all that remains is construction of some minor structures along with extensive testing of the new system. The expansion is making room for vessels with capacity to carry over 12,000 containers, which is almost three times the capacity the current locks are able to handle. Barring any further delays, the first mega-vessels can begin utilizing the expanded canal in early July. The completion of the project will change the face of how cargo is routed internationally, specifically from Asia to the East and Gulf coasts. It is estimated that carriers will shave more than two weeks off the current transit time going through the Suez Canal. In 2015, a strong U.S. dollar helped to cause a significant decline in export volumes at major U.S. ports. Despite the overall drop, a number of U.S. ports saw an increase in their annual export TEUs in comparison with 2014 volumes: Charleston, SC, Houston, TX, Miami, FL, New Orleans, LA, and Palm Beach, FL. The port of Charleston benefits as a hub of Southeastern economic manufacturing development. Vehicle manufacturers like Volvo, and refrigerated cargo, driven by pork and poultry shipments, both saw significant export growth. Exports represent three-fourths of Charleston’s reefer volume and the expansion of cold storage warehouses in the area will further enhance the port’s market position. Significant capital investment in petrochemical plants near the port of Houston has increased export volumes as the number of the plants is continuing to steadily increase. The port has started expanding and modernizing its container terminals with plans for adding new Asian services in support of the Panama Canal expansion. The Port of New Orleans also benefits from exports of petrochemicals and agricultural commodities. In the preparations for expected growth from the expanded Panama Canal, the port has completed a near-dock intermodal yard and developed step-by-step enhancements to its Napoleon Avenue Container Terminal. Miami port officials also seek to take advantage of Panama Canal development. The port has been making preparations for the larger vessels by dredging its waters to 50 feet and building a new tunnel to bypass downtown traffic. Miami’s top export commodities for 2015 were wood, paper and paperboard pulp, textiles, and base metals. The Port of Palm Beach, Florida leads the pack as the fastest-growing U.S. export port in 2016 due to a large increase in shipments of foodstuffs, base metals, vehicles, and machinery. With many of these ports well situated to take advantage of larger vessels, and overall increase in volumes caused by the widening of the Panama Canal, there is continued optimism that growth in 2016 will continue. Shippers worldwide have begun to grapple with the idea that they will be fully responsible to comply with the container weight rules which are due to be enforced by the International Maritime Organization’s (IMO) Safety of Life at Sea (SOLAS) convention as of July 1, 2016. Members of the shipping community have voiced concern that the SOLAS verified gross mass (VGM) amendment lacks clarity on implementation and enforcement, leaving each IMO member-state to create their own solution. Ocean shipping provider INTRAA has unveiled its solution: eVGM. The eVGM tool is designed to allow shippers, forwarders, and NVO’s to submit container weight verification data directly to the carrier, either as an accompaniment to the shipping instructions or as a separate message, so as not to upset the current process for receiving shipping instructions. The eVGM product by INTTRA was developed based on feedback from a group of advisors in the carrier and forwarding industry in addition to the feedback from over 200 additional shippers. On March 22nd and 26th, dockworkers in Santos, Brazil carried out a strike and picket across South America’s biggest port area. The terminal representatives, Union of Port Operators State São Paulo, or SOPESP, were quick to call the strike illegal, citing the current agreement in place that doesn’t expire until August 31st. Several unions were already in talks with terminal operators to renegotiate the terms of their contract and demands for wage hike adjustments to account for record-breaking inflation. Stevedores announced their strike and picket plan on March 20th for the following Monday, saying they could not wait until the current agreement expiration in August. The original strike was called off mid-day after union representatives agreed to continue talks into the weekend. Unions are demanding wage increases for all their members to keep up with the country’s 10.67% annual inflation increase for 2015/2016. Some experts are pointing to monthly inflation rates currently as high as 1.27% for December 2015 to January 2016 that seem to indicate the annual rate for 2016 could reach over 20%. With the current economic and political crisis facing Brazil, the pressure is building for all parties involved to reach an agreement. The country is entering its worst recession in over a century, with 3.8% contraction in 2015 and 3.45% contraction forecasted for 2016 based on official conservative estimates. The current Brazilian government is facing a political scandal stemming from revelations regarding rampant Petrobras corruption involving numerous politicians, including many from President Rouseff’s Worker’s Party. The scandal has embroiled Brazilian politics with massive protests across the country calling for President Dilma Rouseff’s impeachment. Mega-ships are designed to maximize time and profit, but have they gone too far? As the quest to increase profit continues, ships will always get larger. While building a new mega-ship is costly it pales in comparison to the cost of improving the infrastructure needed to complement them at their port of call. The cost benefit analysis debate between larger ships versus expanding ports’ load capabilities is complicated. On one hand companies will save money on shipping; however, it will cost billions to make every major U.S. port capable of handling mega-ships. On average a mega-ship will stay in port 20% longer than a standard new Panamax-sized vessel. This leads not only to increased costs for the port authority for additional services but also to an increased physical toll on the dockworkers themselves. To unload a vessel carrying 18,000 TEU, a terminal operator would have to work at a rate of two full eight-hour shifts for approximately 5 days in order to keep up with the port’s schedule. The increased labor cost and port expansion investment would negate saving for years to come before seeing profit. Additionally, critics of mega-vessels cite that the cost of loss at sea and damage add astronomical additional costs to the model. While it is more efficient to use megaships, industry experts predict that a $1 billion dollar loss is not far off in the future due to the rate at which even megaships are growing in size. It is expected that by 2018, 22,000 TEUS will not be out of the range of reality. With the ever expanding cost of increasing the limits of the size and capabilities of ships, when is big enough? 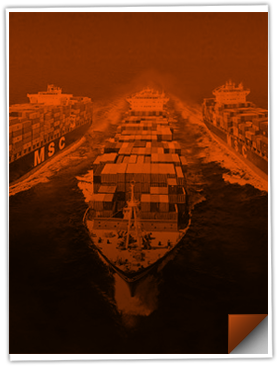 As growth in the Brazil, Russian, India, and China (BRIC) countries continues to stall and freight rates from Asia to Europe and the Americas maintain their downward spiral, some large steamship lines are looking to expand into new markets to buoy their business. French steamship line CMA CGM announced plans for expansion in the West Africa region, increasing coverage by upgrading existing services and increasing the ports of call to the region, including Singapore, Tanjung Pelepas in Malaysia, and Coega in South Africa via a new service. CMA CGM established service to Africa in the early 2000s, but is finding that increasing customer demand has warranted the upgrade of the existing MIDAS line, servicing the West African coast, Middle East Gulf and India, as well as the Europe-West Africa EURAF5 service, which was recently upgraded to a weekly sailing. Both services will see additions to their ports of call, including Antwerp, Le Havre, and Abidjan, Cote d’Ivoire for the EURAF5 service and Nhava Sheva and Apapa, Nigeria for the MIDAS service. The steamship line also announced an additional service for West Africa - a 91-day rotation calling on Tianjin, Xingang, Qingdao, Ningbo, Shanghai, Chiwan, Nansha in China; Singapore; Tanjung Pelepas and Port Klang in Malaysia; Coega and Cape Town in South Africa; Pointe Noire in the Congo; and Luanda in Angola. The service will consist of a 13-vessel fleet with capacity of 9,400 TEUs each and sailing under partnership with fellow carrier Maersk Line, which will include 10 of CMA CGM’s own vessels. CMA CGM is hoping that improved service in combination with quicker transit times will appeal to their customers and anticipates that improvements in West African port infrastructure, such as improved cold chain solutions in Abidjan, Cote d’Ivoire, will encourage the export of perishables and raw materials to European and Gulf markets. With the implementation date for the new verified gross mass (VGM) requirement right around the corner, shippers worldwide remain somewhat confused as to the enforcement practices they can expect. Absence of a VGM on file at the time the cargo is tendered to the terminal will likely result in freight being denied at the port of loading or, at the very least, being weighed at the terminal with a possible fee associated. As July 1, 2016 draws near, shippers in most countries are clamoring for clarification on the policies that carriers and terminals will implement. No countries have indicated the intent to delay the deadline, much to the dismay of most shippers. The U.S. Coast Guard has declared that they will not be holding shippers accountable for compliance, placing responsibility on the carrier to ensure all containers loaded on board a vessel have met VGM requirements. The goal of all parties is to comply with the requirement while avoiding unnecessary bottlenecks in the supply chain. Still under discussion, however, are enforcement practices, tolerance levels for discrepancies, and penalties, if any. The two methods available to the industry present a unique set of challenges which countries must address prior to enforcement. 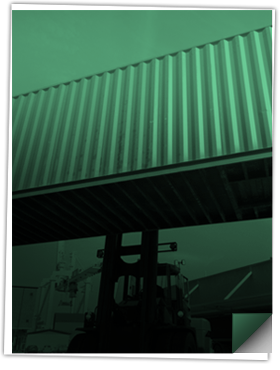 Method 1, weighing the fully loaded container, could result in additional congestion at terminals if weighing takes place on-site or added scale costs to the supplier, if scaled en-route to the terminal. Method 2, weighing all contents of the container when stuffing it and adding the tare weight of the container, may result in additional labor for loading facilities including a certification process for their weighing systems. Some terminals throughout the world have announced their intent to offer weighing services, such as JNPT in India, Felixstowe in the UK, and even Charleston here in the U.S. Other terminals have announced that they will take a less-accommodating approach, instead employing a “no VGM, no in-gate” policy. As we begin to see policies emerge country by country, it appears that full enforcement by the original implementation date is certain. CMA CGM plans to upgrade their Trans-Pacific service to the West Coast starting late May by deploying six mega-ships with capacities of 18,000 twenty-foot-equivalent units. The vessels are shifting from the Asia-Europe route and are following two successful pilot runs at the ports of Los Angeles and Long Beach in December 2015. The service includes the Asian ports of Yantian, Fuquing, Xiamen, Nansha, and Hong Kong, and will call at SSA Marine Pier J terminal in Los Angeles and Berth 58 in Oakland. The decision of upgrading vessels is a result of the economies of scale gained by the larger boats and expectations that the volume would grow 4 percent between Asia and the U.S. West Coast in 2016. In addition, this will allow CMA CGM to gain market share as U.S. imports are expected to increase by 5.3 percent year-over-year in 2016 to 20.8 million TEUs. CMA CGM’s shipping alliance partners, China Shipping Container Lines and United Arab Shipping Co., have space on the current service and will continue to have slot capacity when the larger vessels are deployed. Sixteen months ago, the United States opened dialogue with Cuba in an effort to restore economic and diplomatic ties with the Castro regime. Now, the Obama administration is making it easier for container companies calling the U.S. to add Cuba as a port of call. The U.S. Department of Commerce’s Bureau of Industry and Security (BIS) has announced vessels will now be allowed to transport authorized cargo that has originated in the U.S. to Cuba and then sail on to other countries with remaining cargo that was also loaded at a U.S. port. Due to communist rule and the 55-year-old U.S. trade embargo, a container loaded in the U.S. on a ship stopping in Cuba was previously considered a temporary export and needed a separate license even if the container was not offloaded in Cuba. This new change is a small step in reducing some of the trade barriers since obtaining licenses can take additional time. While in theory Cuba could now act as a transshipment port, this still remains uncertain based on the location of port Mariel and the 180-day rule which bans ships from calling a U.S. port for 180 days after it has stopped in Cuba, except under certain circumstances in which a license would be required. While there still remain questions surrounding Cuba, the continued foreign policy initiatives by the U.S., including President Obama’s visit to Havana, have many industry experts optimistic about what Cuba will bring in terms of trade and business development opportunities between the two nations. The U.S. Court of Appeals heard the Independent Pilots Association (IPA) argument this month to overturn the exclusion of cargo aircraft pilots on FAR part 117 Flight crew Member Duty and Rest requirements. During the birth of the new rest rules proposed by the Federal Aviation Administration (FAA) in 2010 that became law in 2014, in a controversial and contested move, the cargo operators were excluded. The law now in effect has passenger pilots getting at least 10 hours of rest between shifts, eight hours of that for uninterrupted sleep; whereas before, those eight hours included travel, meal and sleep time. They are now limited to flying eight to nine hours, depending on start times, and have 30 consecutive hours of rest a week. An amendment to eliminate the cargo pilot exclusion (all cargo operators) to the FAA rest rule was introduced by Sen. Amy Klobuchar that would effectively “establish one level of safety by applying the same fatigue rules currently followed by passenger airline pilots” stated by IPA. Eight major U.S.-based carriers have applied to begin scheduled service to Cuba as early as this year. The consolidated “big four”— American Airlines, Delta Air Lines, United Airlines and Southwest Airlines — as well as independents such as Alaska Airlines, JetBlue Airways and Silver Airways have also submitted their applications. Ultra-low-cost carrier Spirit Airlines, based in Florida, has also said it plans to apply. Of these air carriers, only five have applied to offer an air cargo program: Southwest Airlines, American Airlines, Delta Air Lines, United Airlines and Alaska Airlines. American is requesting 10 daily frequencies to Havana from its Miami hub, plus additional service to Havana from Charlotte, Dallas/Fort Worth, Los Angeles and Chicago. American’s proposal also includes daily service between Miami and five other Cuban cities. Delta is seeking to fly daily flights to Havana from Atlanta, New York JFK, Miami and Orlando selecting Boeing 757-200s out of its Atlanta and JFK hubs and Boeing 737-800s on the Miami and Orlando routes. United’s proposal seeks 11 roundtrip flights per week to Havana that include daily service from New York plus one additional Saturday flight (eight weekly flights), along with a Saturday-only flight from Houston George Bush Intercontinental, Washington Dulles and Chicago O’Hare (three weekly flights) using 737-800s. Southwest wants to serve Havana from three Florida airports—Fort Lauderdale, Tampa Bay and Orlando—as well as fly to Varadero and Santa Clara from Fort Lauderdale. The carrier is an all-737 operator. Alaska Airlines—seemingly the only US carrier with a concept of Cuba’s still limited and fragile infrastructure—has placed a relatively modest request to fly two daily non-stop flights from Los Angeles to Havana operating 737-900ERs. JetBlue proposed to put Airbus A320s and A321s on 15 daily frequencies connecting New York, Fort Lauderdale, Orlando, Tampa, Newark and Boston to Havana, and Fort Lauderdale to Camagüey, Holguiìn and Santa Clara. Silver Airways, a small regional carrier that operates Saab 340B turboprops, is seeking approval to serve 10 Cuban destinations from the five Florida cities of Key West, West Palm Beach, Fort Lauderdale, Jacksonville, and Fort Myers/Naples. Only time will tell whether the current airport infrastructure and economic limitations within Cuba will impact DOT’s decision making on route allocations. Terrorist attacks brought Brussels airport, one of Europe’s busiest passenger and cargo airports, to a standstill on Tuesday, March 22. Two blasts destroyed the passenger arrival terminal and left 12 people dead and many injured as the world showed its support after the tragedy. The cargo facility, about 4 kilometers from the blast site was left unharmed. Cargo flights and operations resumed on March 23 under contingency plans. Air-cargo forwarders suffered slight delays due to the suspended flights on Tuesday, but impact was not significant. All cargo operations at Brussels airport were at 100% capacity within a week of the attack. As of Thursday, March 31, passenger flights remain suspended. While the U.S. economy reported an increase of jobs in February, the uptick was not felt in the trucking industry. As reported by the Journal of Commerce, trucking company payrolls declined during February for the first time since October 2015. A loss of approximately 600 jobs was reported by the U.S. Bureau of Labor Statistics (BLS). As a result, the JOC’s February For-Hire Trucking Employment index dropped from 101.3 in January to 101.1. Since 2010, there has been a historical increase from January to February in the trucking employment sector. 2014-2015 saw an increase of 3,600 jobs and 2013-2014 grew by 4,800. According to the National Transportation Institute, trucking companies have increased driver pay on average by 14 percent from mid-2014 through January 2016. This rate is hard to maintain in a period of softer economic demand. As the unemployment rate stays low, there is increased competition among trucking companies and other transport employers. Carriers are being more selective in their pay strategy and are aiming pay raises at drivers with specific qualifications or training and/or accident-free records. The BLS reported numbers in early March that showed the overall trucking employment was still up by 1 percent year-over-year, at nearly 1.47 million jobs. It is possible the sequential monthly decline shown in February may be attributed to improvement in other sectors of the economy instead of a decline in the demand for trucking. Coincidentally, payrolls in other transportation sectors such as railroad, air, water and warehousing also declined in February. February added an estimated 242,000 jobs in total, with the biggest gains shown across several service industries—healthcare & social assistance, drink, and food service. Other sectors performing well were retailers and the food & beverage industry. The 4.9 percent national unemployment level for February 2016 surpassed expectations and reduced fears that the U.S. was sliding toward recession. Most small trucking operators are waiting until the last minute to start getting ready for the electronic logging devices (ELD) before the December 2017 deadline. On a survey performed by Truckstop.com, 84 percent of the trucking operators surveyed said they still have to purchase or install an ELD system. Of the 16 percent that have purchased onboard computers or electronic logging only 67 percent said they have installed them. The ELD mandate is expected to drive a high number of small truckers out of business, either because they can’t afford the new devices or they can’t make money operating under the new legal restrictions, creating growing concern for shippers in terms of capacity. Although 50 percent of the trucking operators believed ELDs would have a negative effect on their business, 19 percent expected a positive change and 23 percent no change at all. Smaller trucking operators are also starting to look for more functionality out of the ELDs and believe they can help lower operating costs in the long run. Companies such Truckstop.com are working on an onboard system for small carriers that would blend its load boards with electronic logging and other functions. Another issue faced by the trucking industry is the rising inventory-to-sales ratio. Costello stated, “I’m still concerned about the elevated inventories throughout the supply chain. Last week, the Census Bureau reported that relative to sales, inventories rose again in January, which is troubling. We need those inventories reduced before trucking can count on more consistent, better freight volumes.” While it remains unclear how the trucking industry will fare during the remainder of 2016, it’s crucial to keep an eye on the situation since nearly 70% of U.S. freight is moved over the road. Over the past six years the average annual amount spent on the importation of food around the world has taken a nosedive. The end of the year numbers in 2015 show the world spent approximately $1.076 trillion dollars importing food, a substantial drop from the $1.345 trillion spent in 2014. Since 2009 the world has seen a consistent decrease in the cost to import food across the board. 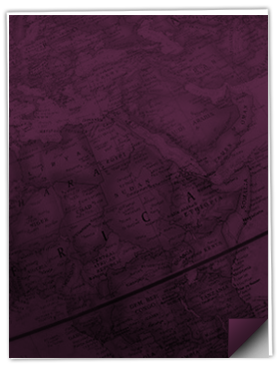 For the most part this has been very beneficial for many regions, specifically the Middle East and Africa. While the causes for the decrease in cost have varied over the years there have been a few general trends; primarily, multiple years of high yield crops (specifically wheat), reduced oil costs due to an increase in U.S. production, and a glut of ships competing to transport the goods. These three factors combined have created an environment of low cost goods and transportation. However, this is not good news for everyone. While many countries are taking this opportunity to stockpile certain products for the future, smaller countries that cannot match the power of the dollar are taking a financial hit. Due to the decrease in the cost of food, currencies have also deflated, voiding potential savings, and creating a volatile market in which large competitors stockpile goods to the detriment of smaller, weaker neighbors. As a geographically small, populous, and urban country, Cuba imports nearly 80% of its food in order to sustain its population - with chicken being its primary import from the U.S. Thanks to a congressional ruling from 2000 which permitted the exportation of certain foods/agricultural goods to Cuba, U.S. poultry has been exported to Cuba for nearly a decade and a half. Based on Cubans’ fondness for U.S. chicken, more than $1 billion in poultry has been exported from the U.S. to Cuba over the past 15 years, making it the fifth largest market for U.S. poultry exporters. Despite the rampant success of U.S. poultry exports to Cuba, other agricultural commodities have not fared as well. The lack of success had by U.S. agricultural goods producers stems from a 2005 ruling that necessitated cash payments from Cuba’s official import agency prior to delivery of goods, as opposed to the customary payment upon delivery. Though still affected by this legislation to a certain degree, U.S. poultry manufacturers were able to achieve success as Cuban consumer demand exponentially increased for quality chicken. The geographical proximity of the U.S. and Cuba, which allows for minimal transportation rates and quick delivery/turnaround times, coupled with the stringent quality control of the U.S. makes for ideal trading conditions. Other U.S. agricultural manufacturers, especially rice and wheat producers, believe they can achieve similar success to that of poultry manufacturers if the financial restrictions of the 2005 ruling are voided. A PAC constructed by some of the largest rice manufacturers in the U.S. proposed a bill to void the financing restrictions last year. The bill now has 30 co-sponsors and is expected to pass through the Senate later this year. The dismissal of unfavorable payment terms and the lifting of a multitude of other sanctions imposed against Cuba should create a renewed vigor in the desire for non-poultry, U.S. agricultural exports. While Brazil’s economy may be taking a tumble, two small southern terminals are turning heads as they dominate the world’s export poultry market. Brazil exported over 4.3 million tons of chicken meat in 2015 to over 40 countries, including their largest market, Japan. The commodity has become essential to Brazil’s stability, delivering over $7 billion in revenue to the government. The battle to handle the prized commodity now rages between two Brazilian terminals, Paranagua and Itajai, a mere 65 miles away from each other, with Terminal Containeres Paranagua (TCP) in the lead. TCP boasts a single cold storage facility operated by Martini Meat and only managed to surpass its rival over the last year. Itajai maintains two facilities: APM Terminals that moves 40,660 TEU and Portonave handling upwards of 66,720 TEU of white meat, supported by nine refrigerated warehouses. The devaluation of Brazil’s currency, the real, has allowed major poultry exporters like the JBS Group, the world’s largest chicken producer, and Brazil Foods, the world’s second largest, to capitalize on the demand in this competitive market. The competing ports are conveniently located in proximity to 90% of the country’s slaughterhouses and have plenty of reefer warehousing easily accessible in the region. The ports will continue to compete for the top spot, planning improvements to direct rail links, increased reefer capacity, and basin expansion to handle larger vessel capacity. During negotiations in late March, the U.S. and Peru reached a consensus to void certain beef related trade embargos that have been in effect since 2003. The previous trade sanctions levied against U.S. beef exporters by the Peruvian government were implemented in an effort to significantly reduce the risk of mad cow disease and called for any U.S. suppliers to be registered in the rather judicious Agricultural Marketing Service Export Verification program. The new agreement falls in line with the World Organization for Animal Health’s ruling that U.S. beef poses a “negligible risk” for mad cow, and encourages Peruvian companies and agencies to import from any federally inspected U.S. beef providers, thus substantially increasing the pool of eligible suppliers. U.S. beef exports to Peru were aided by the U.S. Peru Trade Promotion Agreement (PTPA) of 2009 and U.S. beef exports to Peru actually exceeded $25 million in 2015. However, this number is expected to grow even more rapidly given the newly formed pact. “Peru has been a growing market for American beef and this agreement will only further expand opportunities for American producers and exporters,” says U.S. Trade Representative Michael Froman. As previously featured in Shap Talk, Shapiro has been sharing with you the names of employees who have been recognized for their exceptional efforts and contributions to our Company. At Shapiro, we continually work to develop, challenge, and inspire all of our employees to grow individually and with the Company. This month, we would like to recognize Marley Tanno, Import Manager in Baltimore for her outstanding performance and contributions.